HOUSTON, May 5, 2009 /PRNewswire/ -- Mom was always there to pick you up from school and shuffle you to and from soccer practice. She dropped you off at your first school dance, and parked around the corner to save you the embarrassment. Mother's Day is an opportunity to give back to Mom in a way that celebrates how she always ensured you reached your destination. Choosing the right gift can be a challenge, but giving Mom something practical is the way to show your affection. In tough economic times, people prefer to receive gifts that help out with everyday expenses and tasks. A recent survey by Jiffy Lube International reveals that 64 percent of moms said they would prefer something useful and practical this year and 60 percent said they would like to receive a gift card. One practical gift to consider is the gift of vehicle maintenance. Whether commuting to work or running errands, Mom spends a lot of time on the road, and her vehicle handles a lot of wear and tear. In fact, a survey from MomCentralConsulting.com found that 78 percent of moms spend at least six hours in their car each week . Driving a vehicle that doesn't run efficiently or breaks down can be frustrating. A gift like the Jiffy Lube Gift Card℠ can help keep her vehicle running properly. "Many moms focus on getting their family where they need to go, and it's important that preventive vehicle maintenance does not get overlooked in busy schedules," said John Sanfacon, head of Marketing and Innovations at Jiffy Lube International. "The Jiffy Lube Gift Card provides convenience and value to a busy mom." The Jiffy Lube survey found that 23 percent of women say their biggest pet peeve while driving is streaky wind shield wipers, and nearly the same amount (22 percent) say it's a squealing noise from the engine or brakes that won't stop. The gift of preventive vehicle maintenance can help with all of Mom's vehicle needs, and let her breathe a sigh of relief. Consumers can purchase the Jiffy Lube Gift Card online at JiffyLube.com or at participating Jiffy Lube service centers across the United States. The gift card can be set for monetary denominations from $5 to $300, has no expiration date or fees, and can be redeemed toward any Jiffy Lube preventive maintenance service, including the popular Jiffy Lube Signature Service® Oil Change, tire rotation, engine air filter replacement, radiator antifreeze/coolant replacement, automatic transmission fluid exchange, fuel filter and cabin air filter replacement. To find a Jiffy Lube in your area, please visit Locations.JiffyLube.com. 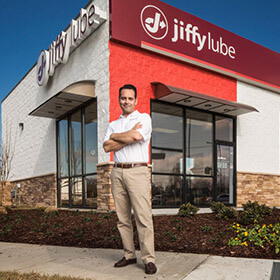 Visit JiffyLube.com to find oil change coupons and promotions, Jiffy Lube news articles, community involvement programs and events, franchise information, and employment opportunities. The Jiffy Lube International survey was conducted via telephone interviews during the period of March 12-16, 2009. The survey included a national probability sample of 1,002 women 18 years of age or older, living in the Continental United States. The survey was conducted by Opinion Research Corporation.